Aqua Digital Bookkeeping may change these General Terms from time to time at its absolute discretion without prior notice to the Customer. The Customer agrees that such changes will be binding on it. Any changes will be posted on Aqua Digital Bookkeeping’s website and will amend and form part of these General Terms. The Customer is responsible for reviewing the Aqua Digital Bookkeeping website on a regular basis to obtain timely notice of any such changes. This Agreement and any new Agreement entered into after such changes have been posted will include those changes. 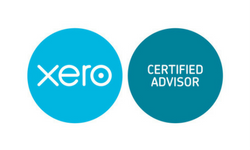 The provision of bookkeeping services is a confidential service available from Aqua Digital Bookkeeping with the software provided by Xero. The Aqua Digital Bookkeeping site complies with the principles of the Data Protection Act 1998. “Agreement” – means this agreement between Aqua Digital Bookkeeping and the Customer. “Effective Date” – means the date on which the Customer accepts the terms and conditions of this Agreement. “Fee” – means the fee as posted on Aqua Digital Bookkeeping’s website in respect of subscription to Aqua Digital Bookkeeping’s services. “Intellectual Property Rights” – rights in databases, trademarks, trade names, rights in trade secrets, know-how and all other intellectual property rights of any nature whatsoever, and all rights of a similar nature or having similar effect, throughout the world whether registered or unregistered and including all applications and rights to apply for any of the same. “Service” – means the provision of bookkeeping and benchmarking services to be provided to the Customer by Aqua Digital Bookkeeping. 1.3 The headings in this Agreement are inserted for convenience only and shall be ignored in construing this Agreement. 1.4 References to statutory provisions shall be construed as references to those provisions as amended, consolidated, extended or re-enacted from time to time. 2.1 In consideration of the performance by the Customer of all its obligations set out in this Agreement, Aqua Digital Bookkeeping agrees to provide the Service to the Customer subject to and in accordance with the terms of this Agreement. 2.2 Aqua Digital Bookkeeping agrees to use reasonable skill and care in the provision of this Service. 3.1 This Agreement shall take effect on the Effective Date and (subject to clauses 5.4, 6.5, 7 and 12.2 below) shall continue unless and until terminated by the Customer. Aqua Digital Bookkeeping shall be entitled to treat the Customer as having terminated the agreement if it does not subscribe to the service at the end of the Trial Period should one be agreed. The Customer shall be deemed to have terminated this agreement if it cancels its subscription to the Service or fails to pay for a renewal regardless of whether a reminder has been issued. Aqua Digital Bookkeeping may terminate this agreement at any time giving the Customer not less than one (1) month prior notice by email. 4.1.1 Comply with any and all instructions provided to the Customer by Aqua Digital Bookkeeping relating to the Service. 4.1.2 Not use the Service for any purpose which is unlawful, harmful, threatening, defamatory, obscene, harassing or racially or ethnically offensive; facilitates illegal activity; depicts sexually explicit images; or promotes unlawful violence, discrimination based on race, gender, colour, religious belief, sexual orientation, disability, or any other illegal activities. 4.1.3 To make available free of charge to Aqua Digital Bookkeeping such accurate information, documentation, data and programs and such other assistance as Aqua Digital Bookkeeping may reasonably require enabling the Services to be carried out. 4.1.5 Be responsible for any and all applicable sales, use, excise, value added or other taxes and duties and any other fees, charges or payments payable to any governmental or regulatory authority, body or organization incurred as a result of or in connection with the use by the Customer of the Service. 5.1 In consideration of the supply of the Service, the Customer agrees to pay Aqua Digital Bookkeeping the Fee. Unless otherwise expressly stated, all prices are exclusive of value added tax. 5.2 The Customer shall pay to Aqua Digital Bookkeeping the Fee for the Service monthly in accordance with the Letter of Engagement. Aqua Digital Bookkeeping reserves the right to send receipts to the Customer by electronic means only. 5.3 Without prejudice to any other right or remedy it may have, Aqua Digital Bookkeeping reserves the right to set off any amount owing to it at any time from the Customer against any amount payable by Aqua Digital Bookkeeping to the Customer under or in connection with this Agreement. 5.4 If the Customer fails to pay an amount by it under the Agreement then access to the Service will be severely restricted and may be suspended until payment is made or may be terminated. 5.5 No refund of any subscription fees shall be given under any circumstances. 6.1 The Customer acknowledges and agrees that all Intellectual Property Rights existing or arising in any materials, know-how, specifications, inventions, processes, data or information supplied by Aqua Digital Bookkeeping under or in connection with this Agreement shall at all times belong to and remain vested in Aqua Digital Bookkeeping or its licensors and, save as expressly provided hereunder, no proprietary rights or any other rights whatsoever are assigned, granted or otherwise passed to the Customer. The Customer undertakes not to take any action which might invalidate the title of Aqua Digital Bookkeeping or its licensors to the Intellectual Property Rights mentioned aforesaid. Any goodwill arising from the use of such rights shall accrue to Aqua Digital Bookkeeping and its relevant licensors. 6.2 As and when required by Aqua Digital Bookkeeping, the Customer hereby agrees to do all such things and execute all such documents as may be required for absolutely vesting Aqua Digital Bookkeeping’s and/or its relevant licensor’s full right, title and interest in and to the Intellectual Property Rights referred to in clause 6.1. 6.3 The Customer acknowledges that civil and criminal penalties may be incurred in the event of any infringement of any Intellectual Property Rights referred to in clause 6.1, and that any such infringement by the Customer may result in incalculable damage and/or loss to Aqua Digital Bookkeeping and/or its licensors, and accordingly, the Customer agrees that, in addition to any other right or remedy of Aqua Digital Bookkeeping, Aqua Digital Bookkeeping shall be entitled to immediate injunctive relief to restrain any actual or anticipated infringement thereof and the Customer undertakes to indemnify Aqua Digital Bookkeeping in full against all losses, damages, costs, expenses and liabilities (including loss of profit) which may be incurred by Aqua Digital Bookkeeping by reason of any such infringement by the Customer. 6.4.3 at the request and expense of Aqua Digital Bookkeeping, giving all reasonable assistance with such negotiations or litigation. The foregoing states Aqua Digital Bookkeeping’s entire liability to the Customer in respect of the infringement of the Intellectual Property Rights of any third party. 6.5 If any claim is made as described in clause 6.4 based on the Customer’s use of the Service other than in accordance with this Agreement, Aqua Digital Bookkeeping shall not be responsible and shall be entitled (a) to require the Customer to cease using the Service until otherwise notified by Aqua Digital Bookkeeping in writing, and/or (b) to terminate this Agreement immediately by written notice and/or (c) to require the Customer to indemnify Aqua Digital Bookkeeping against any consequential claim which may be brought against Aqua Digital Bookkeeping. 6.6 The Customer undertakes to notify Aqua Digital Bookkeeping promptly of any infringement of the Intellectual Property Rights referred to in clause 6.1 above of which the Customer is or becomes aware and to render to Aqua Digital Bookkeeping and/or Aqua Digital Bookkeeping’s relevant licensors all reasonable assistance in relation to any action, suit or proceeding taken by Aqua Digital Bookkeeping and/or its relevant licensors in respect of such infringement. Subject to the foregoing, the Customer shall not be entitled to take any steps or proceedings in relation to any infringement by any person of such Intellectual Property Rights without the prior written consent of Aqua Digital Bookkeeping. 7.1.2 is unable to pay its debts (within the meaning of Section 123 of the Insolvency Act 1986) or otherwise becomes insolvent or an order is made or a resolution passed for the administration, winding-up or dissolution of the other party (other than for the purposes of a solvent amalgamation or reconstruction) or an administrative or another receiver, manager, liquidator, administrator, trustee or similar officer is appointed over all or any substantial part of the other party’s assets or the other party enters into or proposes any composition or arrangement with its creditors generally or anything analogous to the foregoing occurs in any applicable jurisdiction or if it ceases to trade or threatens to cease to trade. 7.2 For the avoidance of doubt, failure by the Customer to pay any prices to Aqua Digital Bookkeeping in full in cleared funds by the due date shall constitute a material breach of this Agreement. Failure by the Customer to pay the prices to Aqua Digital Bookkeeping in cleared funds by the due date on more than two occasions shall entitle Aqua Digital Bookkeeping to terminate this Agreement forthwith on giving written notice to the Customer. 7.3 Upon termination of this Agreement, Aqua Digital Bookkeeping shall cease to make the Service available to the Customer. 7.4 Aqua Digital Bookkeeping shall at any time without incurring any liability be entitled to terminate the Service or to temporarily suspend the Service if Aqua Digital Bookkeeping reasonably considers that such action is necessary to comply with any governmental, legal or other regulatory requirement or request (whether or not having the force of law). 7.6 Upon termination of this Agreement for any reason, the Customer shall promptly return (or at Aqua Digital Bookkeeping’s request destroy) all copies in any form (including in any human or machine readable form) of any materials relating to this Agreement which have been provided to the Customer by Aqua Digital Bookkeeping which are in the possession, custody or control of the Customer or its officers, employees or agents. 8.1 Save in respect of liability for death or personal injury arising as a result of Aqua Digital Bookkeeping’s negligence, the total aggregate of Aqua Digital Bookkeeping’s liability howsoever arising under or in connection with this Agreement, whether in respect of a single occurrence or a series of occurrences, shall not exceed in any year the sum of the Fees payable by the Customer in respect of that year. For the avoidance of doubt, a “year” is a period of twelve (12) months from the Effective Date and thereafter each subsequent period of twelve (12) months from the anniversary of the Effective Date during the term of this Agreement. 8.2 The Customer acknowledges that in some instances the Service is Internet-based. Owing to the nature of the Internet and its interconnected systems, problems such as, but not constrained to, outages, link failures, power difficulties, telephone outages, network overload etc. may have an adverse effect on the Service. While Aqua Digital Bookkeeping will generally strive to mitigate, if possible, the negative effect of such problems, Aqua Digital Bookkeeping will in no way be held liable in any manner for loss(es) suffered as a result of any such problems. 8.3 Save in respect of liability for death or personal injury arising as a result of Aqua Digital Bookkeeping’s negligence, Aqua Digital Bookkeeping shall not be liable to the Customer for any loss of profits or goodwill or any other type of special, indirect or consequential loss or revenue of any nature whatsoever (including loss or damages suffered as a result of an action brought by a third party) whether arising from negligence, breach of contract or otherwise, even if such loss was reasonably foreseeable or Aqua Digital Bookkeeping had been advised of the possibility of the Customer incurring the same, and such liability is hereby excluded to the fullest extent permitted by law. 8.4 The Customer hereby undertakes and agrees to indemnify Aqua Digital Bookkeeping and keep it fully indemnified from and against any costs, losses, damages, expenses and/or liabilities (including without limitation any legal fees and expenses) which may be suffered or incurred by Aqua Digital Bookkeeping arising out of or in connection with (i) any claims, proceedings, demands or actions by third parties arising out of or in connection with Aqua Digital Bookkeeping’s supply of and/or the Customer’s use of the Service (including without limitation claims under the Data Protection Act 1998) and/or any breach of the Customer’s undertakings or obligations set out in this Agreement, and/or (ii) any breach by the Customer of its obligations under this Agreement, and/or (iii) the Customer’s negligence or wilful misconduct. 8.5 The Customer agrees that all the limitations and exclusions of liability in favour of Aqua Digital Bookkeeping in this Agreement are reasonable in the circumstances under which the Service is to be performed. 8.6 The Customer confirms that neither Aqua Digital Bookkeeping nor any of its representatives have made any claims or representations of guaranteed or anticipated profits that may result from the use of the Service and Aqua Digital Bookkeeping expressly disclaims liability for any profit projections which may have been provided to the Customer. 10.1 Subject to clauses 10.2 and 10.3 below, neither party may use the other’s logo, name and/or trademarks without the other party’s prior written consent. 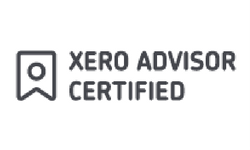 10.2 The Customer agrees that Aqua Digital Bookkeeping may use the Customer’s logo, name and trademarks in connection with Aqua Digital Bookkeeping’s advertising and marketing materials but only in accordance with clause 10.3 below. 10.3 Aqua Digital Bookkeeping shall submit all advertising and marketing materials which incorporate the Customer’s logo, name and/or trademarks to the Customer before publication. The Customer shall have a period of seven (7) business days commencing on the date on which Aqua Digital Bookkeeping sends the materials in which to notify Aqua Digital Bookkeeping as to whether the Customer approves or disapproves the materials, such approval not to be unreasonably withheld or delayed. If the Customer does not communicate its approval or disapproval to Aqua Digital Bookkeeping within such seven day period, the Customer shall be deemed to have approved the materials. 11.1 Aqua Digital Bookkeeping shall not be liable to the Customer for any breach or non-performance of its obligations under this Agreement resulting from causes beyond its reasonable control (an “Event of Force Majeure”) including, but not limited to, Acts of God, governmental act, war, fire, drought, failure of power supply, lockout, strike, explosion, hacking, accident, civil commotion, refusal of any licence by any telecommunications body, impossibility or delay in obtaining materials or telephone lines. 11.2 Aqua Digital Bookkeeping agrees to notify the Customer immediately upon becoming aware of an Event of Force Majeure and to use all reasonable endeavours to overcome the circumstances affecting its performance and fulfil all outstanding obligations as soon as practicable. 11.3 Either party may terminate this Agreement if Aqua Digital Bookkeeping is prevented from performing its obligations because of an Event of Force Majeure for more than thirty (30) consecutive days. 12.1 The Customer shall not, without the prior written consent of Aqua Digital Bookkeeping, sub-licence, assign or otherwise transfer or dispose of all or any part of its rights or obligations under this Agreement. 12.2 Aqua Digital Bookkeeping shall be entitled to delegate or sub-contract the performance of all or any part of its obligations under or in connection with this Agreement to any third parties. 14.1 No delay, omission or forbearance by either party to exercise or enforce any right, power or remedy arising under or in connection with this Agreement shall operate as a waiver thereof, and any single or partial exercise or enforcement thereof shall not preclude any other or further exercise or enforcement thereof or the exercise or enforcement of any other right, power or other remedy. 16.1 All notices shall be made in writing and sent by prepaid first class post, by facsimile, e-mail or delivered by hand to, in the case of Aqua Digital Bookkeeping, its registered office or (if different) its principal office as notified from time to time to the Customer and, in the case of the Customer, to the address notified to Aqua Digital Bookkeeping by the Customer (or to such other address as each party may from time to time notify in writing to the other party). Any notice served by facsimile or e-mail shall be deemed served at the time of transmission provided the sender can show satisfactory transmission and posts a hard copy of the notice within 24 hours of service provided that if any such notice would otherwise be deemed to be served outside working hours, such notice shall be deemed to be served at the start of working hours on the next business day. Any notice served by post shall be deemed served two business days after the date of posting and any notice delivered by hand, upon delivery. Working hours means 9 a.m. to 5 p.m. UK local time Monday to Friday excluding public holidays. 18.1 No person other than the parties to this Agreement shall have any rights under the Contracts (Rights of Third Parties) Act 1999 to enforce any provision of this Agreement. 19.1 This Agreement shall be governed by and construed in accordance with English law and the parties hereto agree to submit to the exclusive jurisdiction of the English courts. 20.1 Aqua Digital Bookkeeping warrants that it has all requisite power and authority to execute, deliver and perform its obligations under this Agreement. 20.2 Aqua Digital Bookkeeping does not warrant that the Service will meet the Customer’s requirements nor that, in the case of internet-based Services, the operation of the Service will be error-free or uninterrupted. 20.3.2 it has all requisite power and authority to execute, deliver and perform its obligations under this Agreement. 20.4 Save as expressly set out in this Agreement, all conditions, representations, warranties, undertakings or terms whether express or implied, statutory or otherwise, including in particular any implied warranty of satisfactory quality or fitness for any particular purpose or use are excluded from this Agreement to the fullest extent permitted by law.